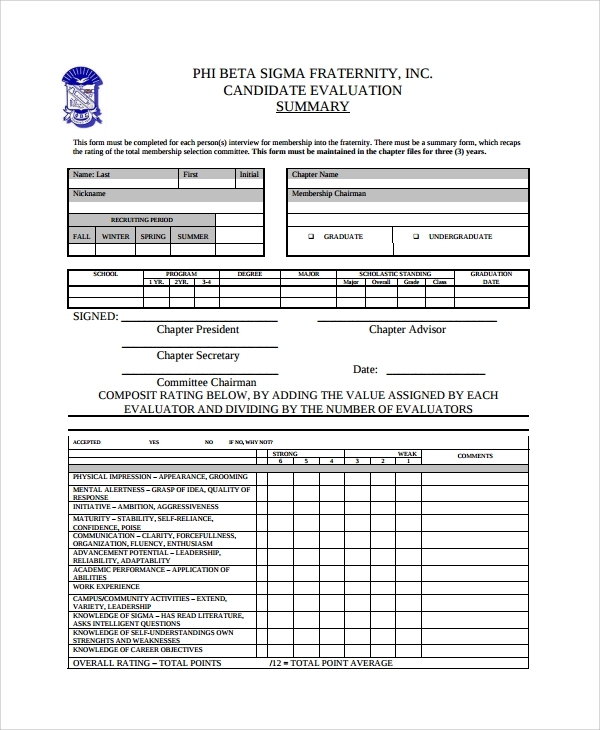 Summary of one or more interviews can be recorded in these sheets. 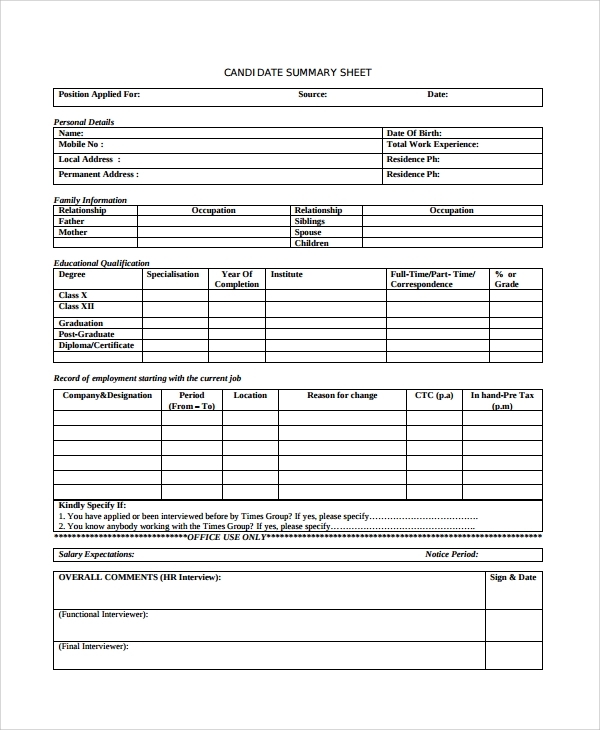 The format is made such that you would be able to record things like education, experiences, past achievements, the skills etc about the candidate. 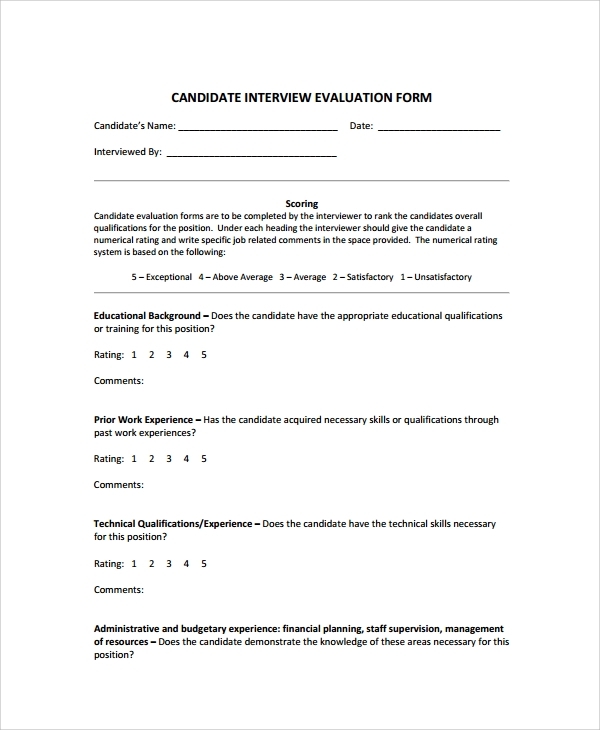 Opinions are formed in the mind about the candidate when the interview is ongoing, and the interviewer is quickly noting points, and making small notes about the candidate. After the interview is over, if these points in mind are not noted as remarks immediately on a paper then the interviewer may forget those later. 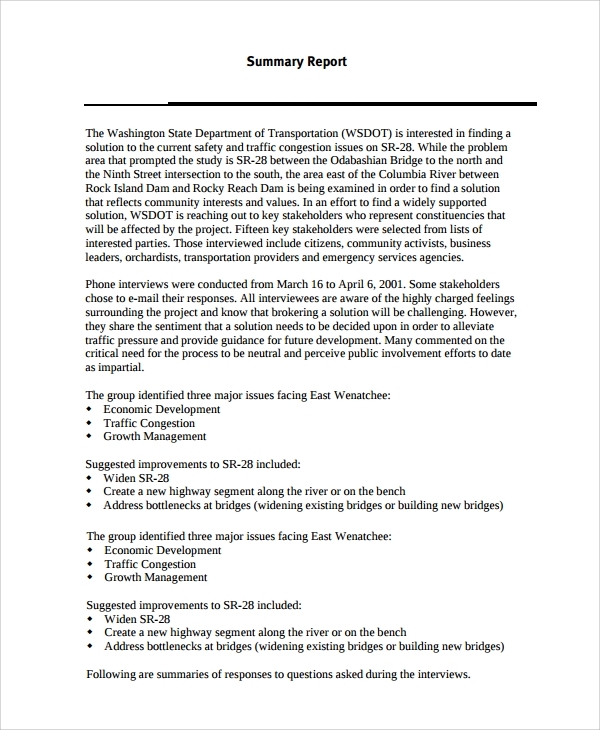 The post interview summary-style format is for this purpose. 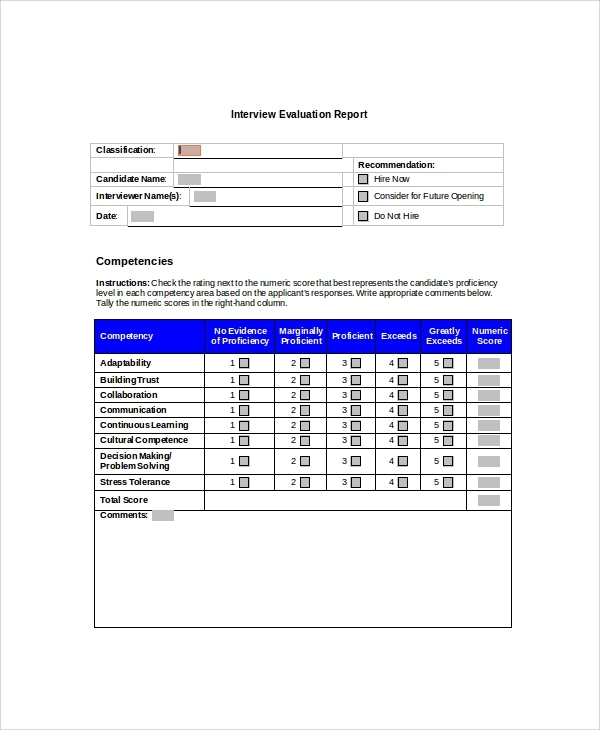 This kind of template is to write the exact interview summary which needs recording for individual candidates. This will not be a sheet with multiple candidate entries, but one sheet one candidate format. If you are not sure how to make use of them just read the format and study well. Why Interview Summary Templates are Used? Interviews are to be summarized. If you are not clear from the beginning about recording small and big details then later you will be a problem. You will miss details, and won’t be able to track things. The inability to tracks things after you have taken a full day interview of candidates would make the whole process ineffective and would yield no results. Therefore to make it smooth and worth remembering so that you may choose the interview candidates with smart record keeping, it’s important that you keep a tracking sheet handy. There you will keep on noting details under mentioned fields to correlate later. 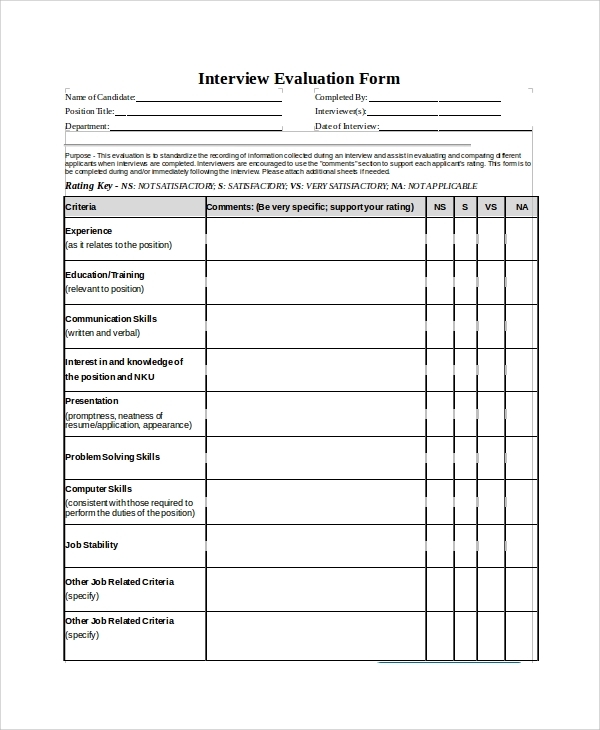 The purpose of the interview summary sheet or template is to make your interviews organized so that you may later relate to the results and get to some positive conclusions. This will help you call a candidate later on after a few months too on the basis of the summary sheet you had maintained.